Car parking seems to have become a big issue just recently. Firstly Eric Pickles famously suggested we could all ignore double yellow lines, as who could possibly object to someone just parking for 15min or so to nip into a shop. Now we hear that councils are — shock, horror — making money out of parking. There is, it seems, something inherent immoral about this, as if the council is something totally removed from the rest of us and is funding a nice summer holiday for itself in the south of France by rooking all these poor motorists. Parking space, like petrol, is a scarce resource, that comes with a social cost and for which demand often outstrips supply. I can’t remember much of the economics I learned at school, but I do remember the bit about prices going up when demand outstrips supply. Intellectually, people accept that you can’t carry on transport policies that depend on car use. It’s unsustainable on so many levels. But that is fine in theory: what we’re less sure about is when our own ability to use a car is limited or becomes expensive. These fine theories about reducing car use are all well and good so long as someone else is making the sacrifice. Sooner or later, we need to wake up to the reality that not all of us can use cars for every conceivable journey and that there are in fact plenty of acceptable alternatives. We could flatten large areas of town and city centres to accommodate all the cars that might want to be there, though quite why people would want to visit those towns and cities of which car parks were their dominant features is another question altogether. Or actually we could turn the mismatch of supply and demand for parking into an advantage. Brighton’s particularly been quoted recently as a place where it’s pretty difficult to park, as if somehow this is news to us all. But the difficulty of parking is probably the biggest factor that has turned Brighton into a city where the bus is the norm for most people. 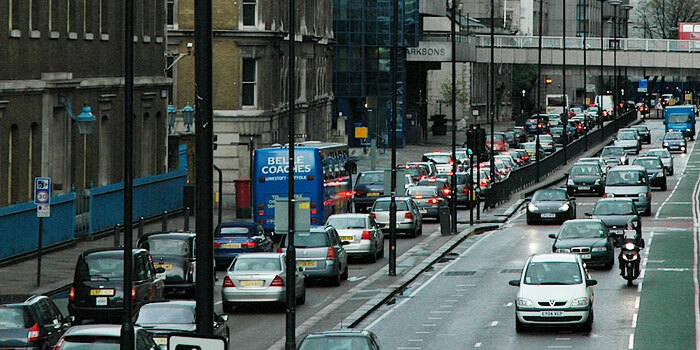 Buses have proved to be a very acceptable alternative there, as they have in London, and the city still thrives. Increasingly cars and city centres don’t mix, and discouraging car use through scarcity of parking and high charges can actually make our cities better places to be, while the public transport alternative can contribute to the economy and provide an easier, less stressful and altogether more sustainable option for everyone.